Had an absolutely great, yet harrowing, day yesterday due to really sloppy, wet conditions! It’s a miracle neither Tiffany or I ate it by slipping in the wet clay or completely wiping out trying to get from her to there! Trying to maneuver through that kind of stuff sure does provide for some good laughs and great times! Despite our challenges, we managed to see and record 4 Bands yesterday! Mystery, Red Face, Sidekick and Copper. Everyone looks surprisingly well despite the fact that spring just doesn’t seem to want to ‘spring’ here yet in the North Dakota Badlands. 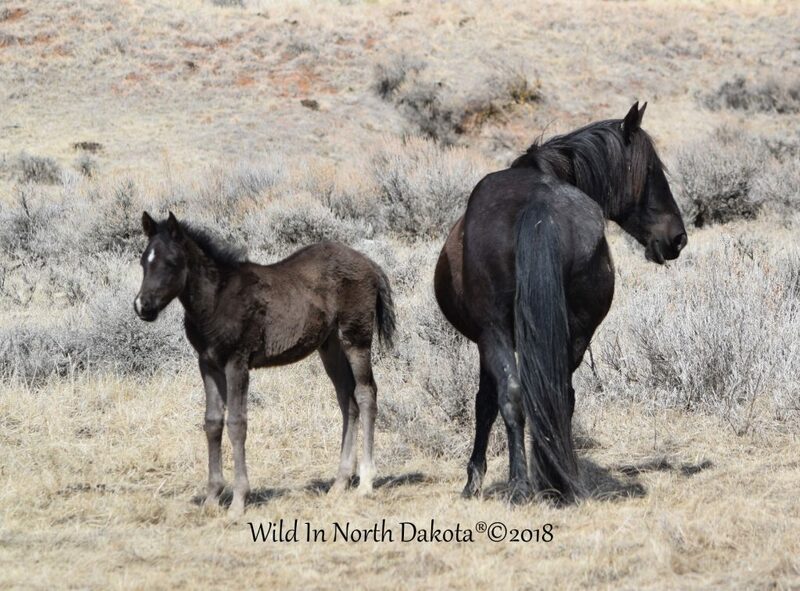 It is just amazing to me how resilient the babies are that have already been born and just how incredible it is that all of the horses managed to survive such a cold, long winter. Here are a couple of images of Mystery’s Band. 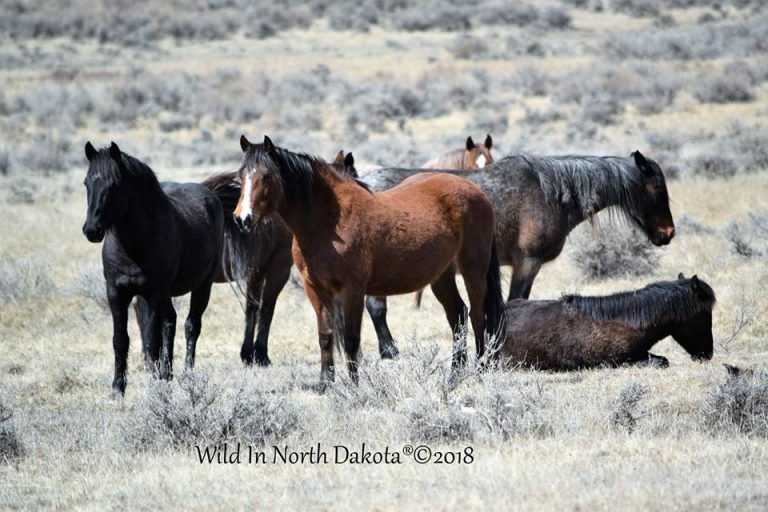 The above photo shows Mystery watching intently as Mare Molly crossed Band lines from Stallion Red Face and was successfully bred by Stallion Sidekick. Red Face slept through the entire encounter but when he finally woke up he gave her a good scolding and then she stayed close by his side for the remainder of time we were with them. The photo below is of the first baby born this year…a colt we are calling Scout out of Mare Raven. What a little cutie he is…so alert and already so aware of life happening all around him! So, enjoy and stay tuned for more to come real soon. We have some nasty weather ahead…today rain, tomorrow a mix of rain and snow and Friday more full on snow! Can you believe that??? Is winter ever going to end? I sure hope so! Mare Raven with her adorable 2018 Colt and first foal born this year that we are calling Scout.